Okay. So you’ve had it with the tally that rings up at the cash register every week at the grocery store. You try your best to use coupons and buy items on sale, but find that they maybe are not making as much of an impact as you’d like. Why not take a few steps backward and look at what you’ve actually got in the cart. 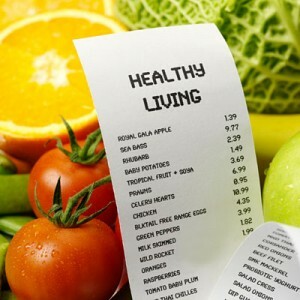 If you are trying to save money on groceries, the inclination is to steer towards the least expensive food items. But is it possible to do so and still provide nutritious options for your family? Here are some of the foods you’ll find at your local store, which are generally the least expensive (most under $2.00), but also pack a nutritional punch. Compared to regular white rice, brown rice is chock full of fibre and vitamins. Still covered in the whole grain, it is a little chewer, but the whole grain addition to this food will contribute to you feeling fuller for longer, so may ward off the craving for snacks later too. Be aware though that brown rice takes a lot longer to cook than regular white rice (like double) so adjust your cooking time accordingly. Slightly higher in fat than regular yogurt, Greek yogurt is higher in protein (just ask any athlete). It’s rich and creamy texture adds an extra dimension to the flavour as well. Only a few cents each, this versatile food is high in protein and iron. Rethink your meals to include eggs as a mainstay. In addition to having breakfast for dinner, think omelettes or frittatas as yummy one-dish meals. Tiny can and price tag- big nutritional contents. High in protein, Vitamin B6 and Phosphorus, as well as a good source of Niacin, Vitamin B12 and Selenium, it’s hard to beat this food in its nutrition-for-price relationship. Tuna is also versatile. Beyond your typical tuna sandwich, look at including tuna as your protein source in salads, casseroles or pasta dishes. Tuna can be high in sodium, so choose lower-sodium options, usually packed in water. Dried legumes (chickpeas, lentils, navy beans, turtle beans) all carry huge nutritional benefit (protein, iron, fibre and a host of vitamins and minerals). Think of it- these legumes are the mainstay of many a vegetarian diet, so they must have serious nutrition packed inside, right? The benefit of buying these babies dried is that they are cheaper and much lower in sodium than the canned variety. They take a little more work (soaking and cooking time), but are worth the rewards. Use these cooked legumes in soups, pasta sauces or salads to bump up the protein in your meal.